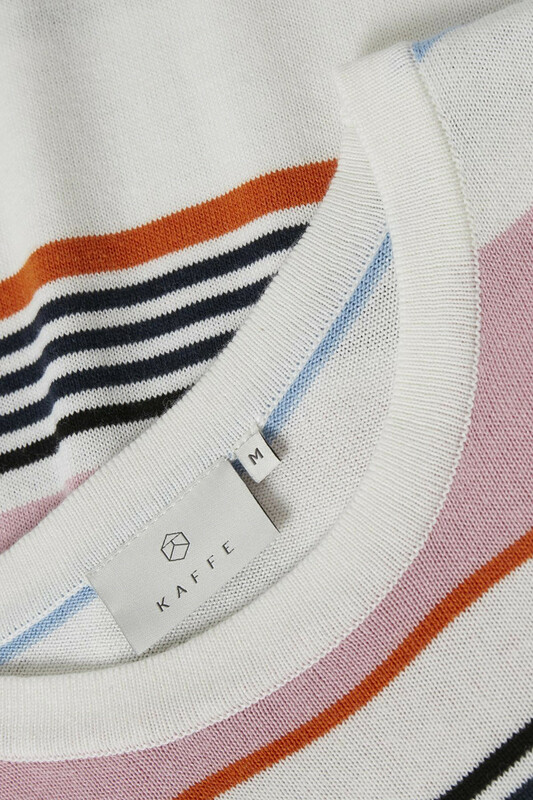 Soft and fashionable A-line dress from KAFFE. 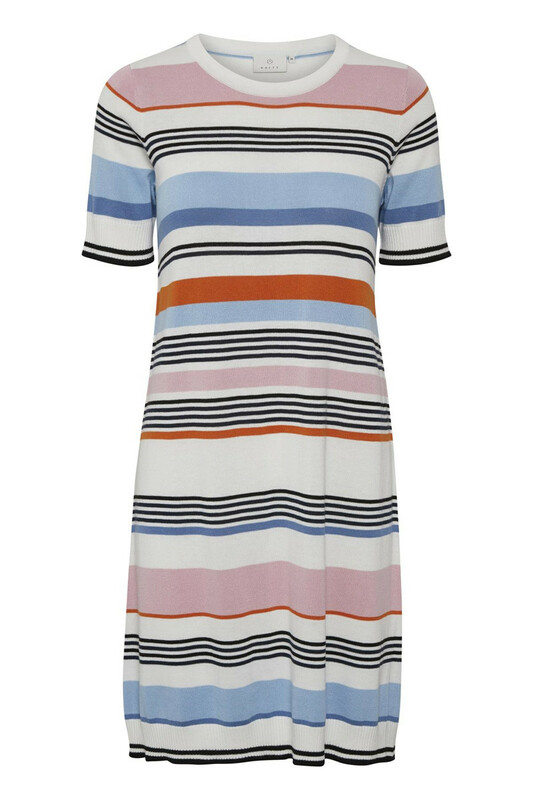 The dress has a round neckline, half sleeves and the length of the dress is just above the knee. The quality is absolutely fantastic to wear, and it has a very stretchable. 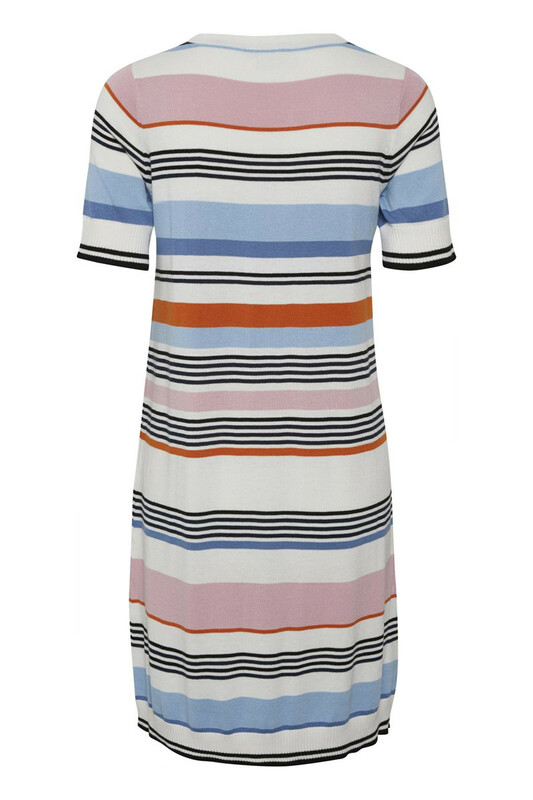 The dress has a feminine silhouette and a stylish look with these popular horizontal stripes. 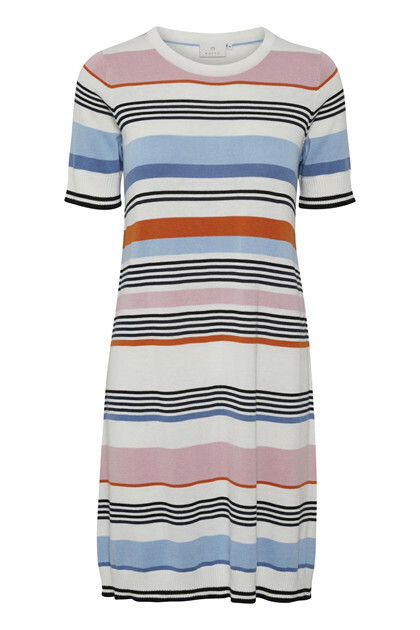 The dress can be styled with both a simple cardigan, a knitted pullover or casual denim jacket.